Assist students with physics and mathematics through company's website. Algebra based physics I (PH 201A) and the corresponding laboratory section. Algebra based physics II (PH 202A) and the corresponding laboratory section. Calculus based physics II (PH 207A) and the corresponding laboratory section. Calculus based physics I (PH 206A) and the corresponding laboratory section. Algebra based physics I (PH 201) and the corresponding laboratory section. Algebra based physics II (PH 202) and the corresponding laboratory section. Accomplished physicist seeking a position in academia. Teaching background includes teaching undergraduate physics courses and laboratory classes. Experienced in undergraduate course development and course assessments. Able to easily incorporate latest technology into classroom teaching. Skilled in Easy Java Simulation (EJS) technique to create physics Java simulations for educational purposes. Research experience focuses on force microscopy studies and magnetic properties of thin film materials. Experienced in thin film fabrication using Molecular Beam Epitaxy and Pulsed Laser Deposition techniques. Skilled in vacuum systems and machining techniques. Excellent communication skills, credited with several articles and numerous presentations. B. D. Demczyk, V. M. Naik, S. Hameed, and R. Naik. "Comparison of strain relaxation in epitaxial Si0.3Ge0.7 films grown on Si(001) and Ge(001)," Material Science and Engineering B 94, 196 (2002). R. Naik, S. Hameed, P. Talagala, L. E. Wenger, and V. M. Naik. 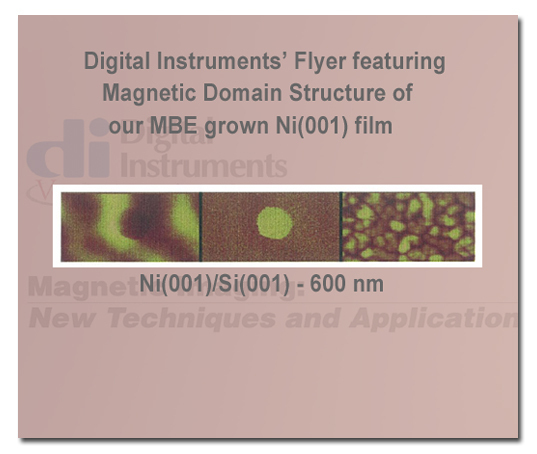 "Comparative study of stripe magnetic domains in epitaxial Ni(111) and Co(0001) films", J. Appl. Phys. 91, 7550 (2002). S. Hameed, P. Talagala, R. Naik, V.M. Naik and L.E. Wenger. "A study of disordered stripe magnetic domains observed in epitaxial Ni films", J. of Mag. and Mag. Mat. 242-245 (P2), 1264 (2002). S. Hameed, P. Talagala, R. Naik, L. E. Wenger, V. M. Naik, and R. Proksch. "Analysis of disordered stripe magnetic domains in strained epitaxial Ni(001) films," Phys. Rev. B 64, 184406 (2001). V. M. Naik, S. Hameed, R. Naik, L. Pust, L. E. Wenger, G. L. Dunifer, and G. W. Auner. "Effect of  texture on the perpendicular magnetic anisotropy of Co/Ni multilayers," J. Appl. Phys. 84, 3273 (1998).